The loss of the world’s wilderness would have disastrous consequences for mitigating climate change because forests store vast quantities of carbon that if released into the atmosphere would accelerate global warming. The authors write that “avoiding emissions by protecting the globally significant wilderness areas of the boreal and Amazon in particular will make a significant contribution to stabilizing atmospheric concentrations of CO2.” The study argues that global action is needed to protect forests from the threat of industrial forestry, oil and gas exploration, human-induced fires and rapid climate change because these forests can be converted from beneficial carbon sinks to harmful carbon emitters. The loss of wilderness also threatens many land-based mammals that are on the red list of endangered species. 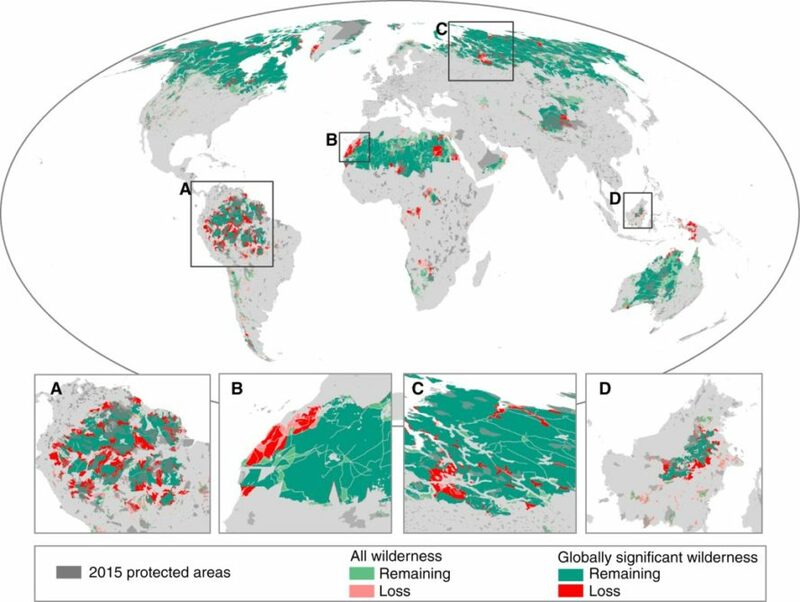 A tenth of the world's wilderness has been lost since the early 1990s and if trends continue there could be no wilderness left on the planet by 2100, according to new study published in the journal Current Biology. The researchers discovered that 30.1 million square kilometres (23.2 percent of the world's terrestrial areas) now remains as wilderness.